Author: Cameron, Stevie Set In . . . Description: For more than thirty years, Daniel Cameron, M.D. has practiced medicine with a twist. While he trained in Internal Medicine at Beth Israel Medical Center in Manhattan, he also completed a residency in Public Health from Mt. Sinai Medical Center, also in Manhattan. His public health training means while he toils to get patients well, he also teaches them the whys of their illnesses. When he began to see patients with Lyme disease, he continued to teach patients, but with his Public Health background, he also saw the need to teach a wider audience about the tick-borne disease. To that end, he started a blog he titled: All Things Lyme. 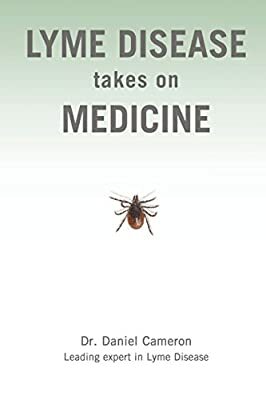 In his blog, Dr. Cameron highlights important research about tick infections, Lyme treatment, testing, medications and other topics related to Lyme disease and co-infections. As the blogs accumulated, Dr. Cameron thought it a good idea to put the mini-essays into a book which would categorize them by subject matter. But he didn’t want just a book of blogs; he wanted the book to have a purpose—actually, he wanted the book to have a life. He envisioned a book which would reach many audiences in many different ways. For those who like the feel of a page, the smell of the ink and love to scratch margin notes, there’s the traditional version. For those who want the book on their computer, there’s the eBook. You can download it to your desktop; print off the blogs you might want to take to your physician. You can hit a link and go to other sites. Or, load it to your eBook reader and make it portable. In addition to the book, Dr. Cameron has plans for more outreach and discussion on the book’s topics. In short, this book, born of the blog titled, All Things Lyme, was designed with the needs of the reader in mind. What information might you need as a patient, as a care-giver, as a physician, as an advocate? It’s here; and Book Two is in the works. It was an honor to be asked to help with this project. It was great fun to work with Dr. Cameron. All of those who worked on this book, the videos, the website and other aspects look forward to hearing what you think.